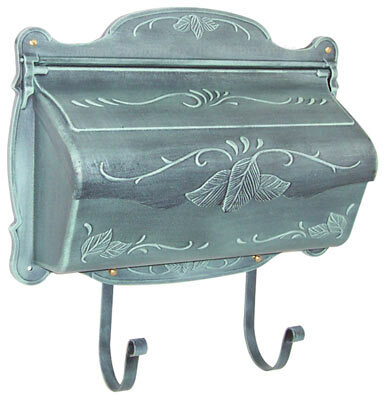 Waterglass Studios Vertical Wall Mount Mailboxes are hand burnished for a naturally weathered look. 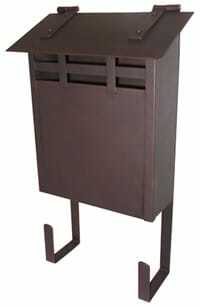 Slanted hinged top adds architecturally interest and acts as a rain guard so mail stays dry. 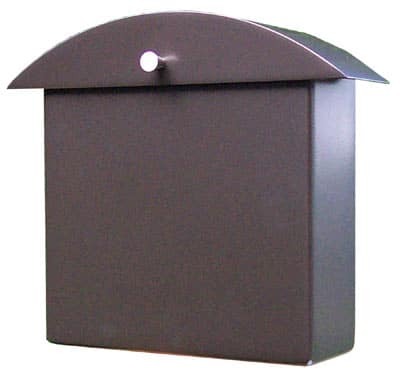 Dimensions are: 17″H x 9-1/2″W x 4″D to easily accommodate mail and magazines. 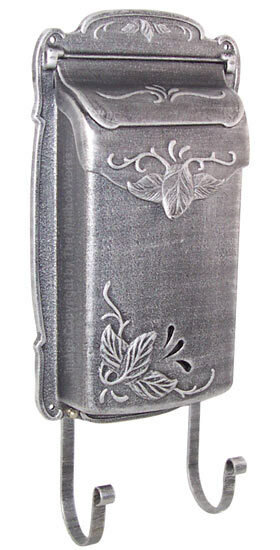 Color variations are common and can go from light to dark for a one of a kind look. 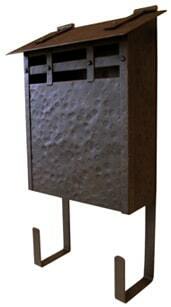 Comes with a convenient newspaper holder. 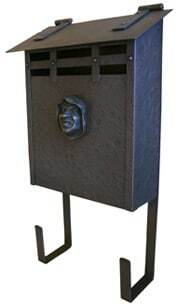 Waterglass Studios Vertical Copper wall mount mailbox is available in a copper finish (shown), hammered copper finish or hammered copper with Franciscan monk detailing. 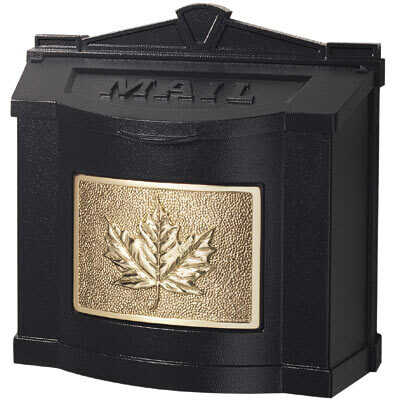 Wall mount mailboxes are USPS approved and include all installation hardware.